At the touch of love everyone becomes a poet. This was quite a special moment. 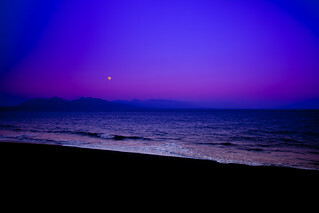 Standing in the black volcano sand and watching the moon rising over West Bali Nationalpark.